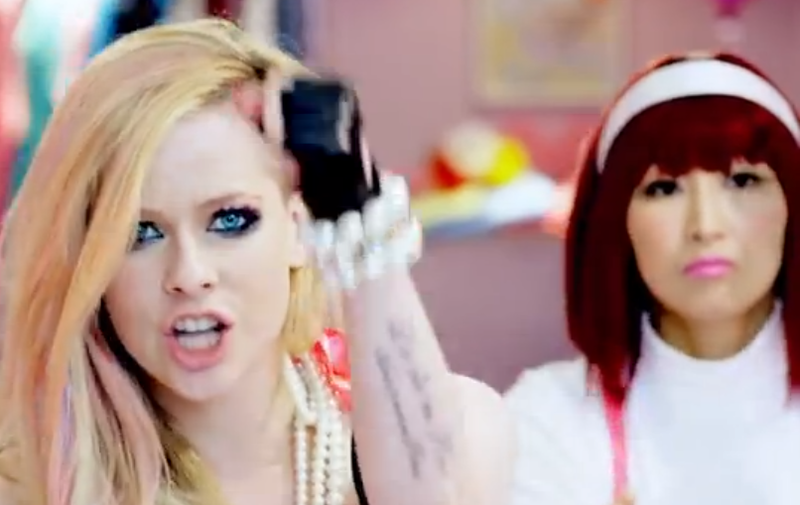 This is the first (and last) Hen article on Avril Lavigne, but with a "song" like "Hello Kitty" that's creating a buzz for being terrible, there is far too much to peck to resist. And I like cats. So back by unpopular demand, here is The Hen's "The Good, the Bad, and the Ugly" for Avril Lavigne's "Hello Kitty." Is she starting the "song" in Japanese? If she can do that, I'm starting my next article in Mandarin. Her "singing" is really chanting, and not in the seductive way that Britney Spears can pull off. A few of those lyrics only dogs can hear. The black and white scene where she walks down the street, waving to fans who aren't there. You're delusional, Avril. The lyrics. All of them. This song is on par with "#Selfie" or "What Does the Fox Say? ", but sadly, Avril Lavigne used to attempt to be a legitimate artist. Now, she's essentially singing, "What Does the Cat Say?" And we already know the answer. Dub step meets seizure. I don't know what's bleeding first, my eyes or my ears. The last 16 seconds are Avril jumping around to the sound my car makes when I've left the door open. 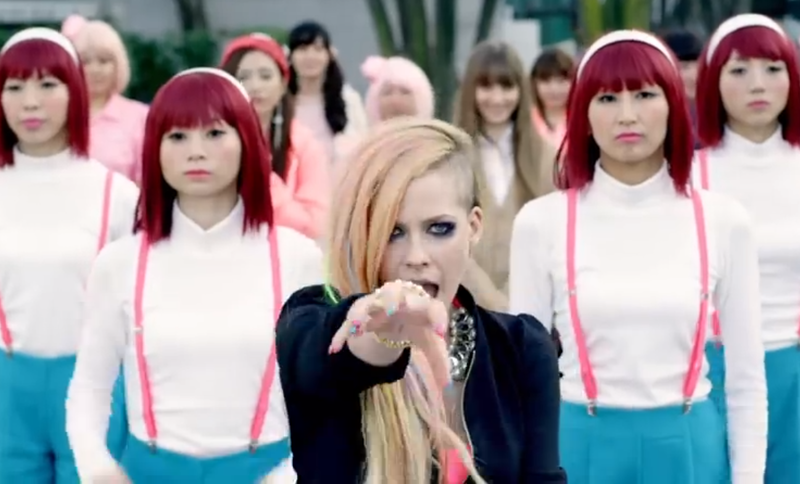 The whole scene at the sushi restaurant with Avril acting like a dumbass while the video footage is having a seizure. The 4 deadpan, handsome Japanese women made to look identical, always behind her. These gals need to move a little more, smile, or do something to make them not haunt my dreams. Avril Lavigne's hair. Thrown-up cotton candy on one side, 2007 Britney on the other. Her raccoon eye makeup. She could maybe get away with this when she was part punk, part emo, but not as a cotton candy puke blonde chanting, "Hello Kitty." At first glance, I thought Avril Lavigne had lost her mind and was drunk. However, being in the industry this long, girlfriend knows what she's doing. For good or bad, stupid and catchy sells, and any publicity is good publicity. Just ask Miley Cyrus. Read more of "The Good, the Bad, and the Ugly!" "Up Late With One Direction! The Good, the Bad, and the Ugly." "Britney's Solid Advice: The Good, the Bad, and the Ugly." "New Miley Cyrus! The ... the Bad, and the Ugly."